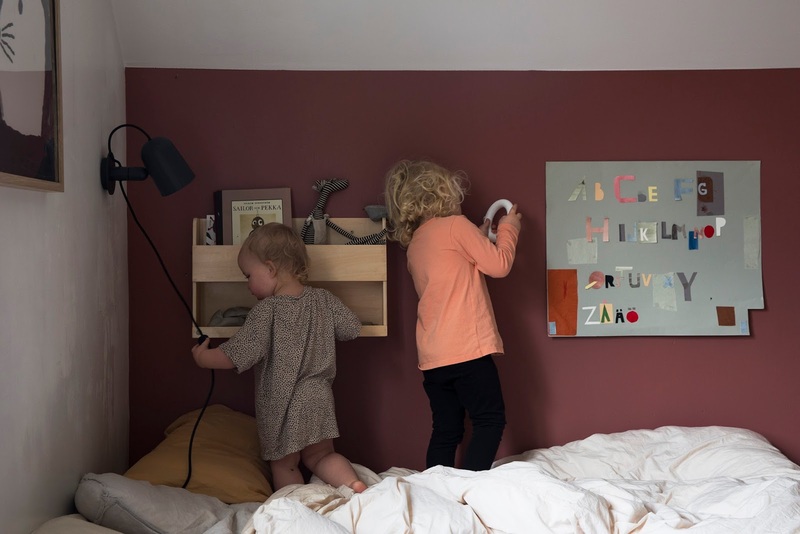 Monthly contributor Ulrika Nihlén shares a very candid and honest peek into the shared room of her two little ones and shares how she compromises to make a space comfortable, practical and fun for all! 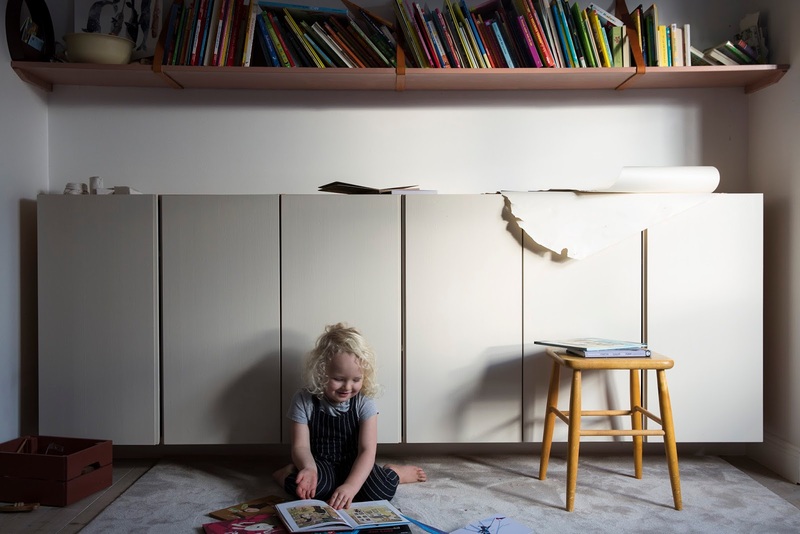 So, many people out there cannot handle the kids room when they get kids, they know exactly how they want to have it, to organize and which wallpaper to pick and wow, there are just so many lovely toys out there to fill it with too! However I am quite the opposite. I don't always know how I want it all and it has become a yearly tradition to change the color of the walls. I am also having a hard time finding the right toys and stuff I like. Maybe I am missing some gene that everyone else seems to have but I find kids stuff can be not so funny or beautiful. I cannot resist my kids' wishes though (please, never say you want a pony) so of course my kids own some big plastic Duplo toys but they also have some second hand toys and I believe it's important to wish for more without having it all. I do try to put it in baskets or keep them out of frame in the pictures I take! 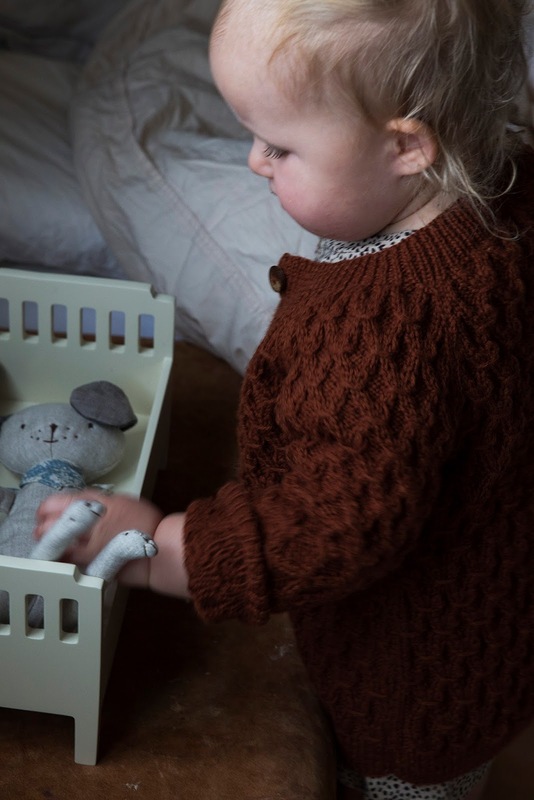 My close friend Petra has a beautiful Kids store and webshop called Beton Studios with lots of beautiful pieces that both parents and kids can appreciate. 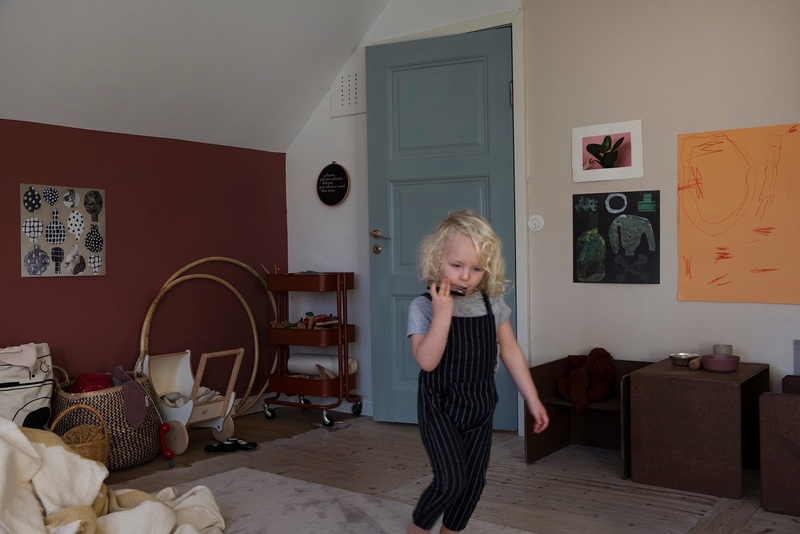 Asa a compromise I try to mix it up their unsightly possessions with stuff that I do love, or with colors that I prefer by putting art on the wall I love like Emilia Ilke's prints or B and F's own handmade creations. I believe kids needs a lot of colors around them to be creative and I also believe in having plenty of pencils and brushes all over the house so that it is always easily accessible to do something creative or paint. When it comes to the kids' bed, B and F´s bed is just a mattress on the floor which makes it easy to jump in and build a hut or something. My goal is not to steer or force my kids to have something they don'y like. I mean they are still quite young at 1 1/2 and 3 1/2 but in the future I want them to feel free to paint on the walls or do what they like in their own space. I want them to feel free to create something they love. The also have 2 cosy spaces (old wardrobes) which Billie and I painted. They also love their table my friend Leopold Lauga built. I love everything B has made in clay, and also lots and lots books...kids books always have ugly spines but there's nothing I can do about that, we just love to read so. Also I love to keep some open space in the middle of their room for them to use for lego building, to dance or anything else. It is a never ending process, changing the room as they grow and interest change but let's also say that is also a good thing to see them happy and enjoying their space. F and Bs might go crazy one day and cause a revolt by putting up wallpaper with the princesses from Frozen one day!